“WEEEEEHAAAAA!” exclaims Kaipu Baker, the University of Hawaiʻi at Mānoa sophomore who voices the character Maui in the Hawaiian language version of Disney’s Moana. 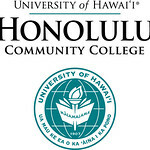 The movie, a collaboration of five UH programs, is spearheaded by the Academy for Creative Media System and is being recorded at the Mike CurbMusic and Entertainment Learning Experience (MELE) sound studio at Honolulu Community College. James Ho, MELE Audio Engineering alumus are working with Hawaiʻi talent on Moana. “Just the level of technology and the professionalism that everybody held carrying throughout the project made it feel that we were making a very strong and concerted effort to really put forth the best project for our people,” says Baker, who is Native Hawaiian. The star of the original film, Auliʻi Cravalho, is among those bringing the Hawaiian language version to life. At Honolulu CC, students and alumni are manning the sound boards as the vibrant movie plays on monitors in the darkened studio and the actors record their lines. “This is an experience that is life changing,” says Daniel Gilad, a UH West Oʻahu creative media student and Honolulu CC audio engineering graduate. “Just seeing the production, seeing how producers from Disney approach things and the talent that was cast here, it’s just an unbelievable experience.” Noah Cronin working on Moana. The premiere is slated for summer 2018, followed by the distribution of DVDs and Blu-ray discs to educational programs such as Native Hawaiian language immersion schools. Baker adds that education is the basis of prosperity and helping Native Hawaiians to move forward. News story by UH Media and Honolulu CC.